Assistant Chief Hector Sainez oversees the day-to-day operations of the Office of the Chief of Staff. The Chief of Staff serves as the link between the Chief of Police and various units throughout the Department. Assistant Chief Sainez manages the below listed units which help the public understand the SFPD and its mission. The Office of the Chief of Staff is responsible for providing administrative support to the Chief of Police, while effectively managing the Media Relations Unit and Risk Management Office (Internal Affairs, Legal Division, EEO and the Early Intervention System). 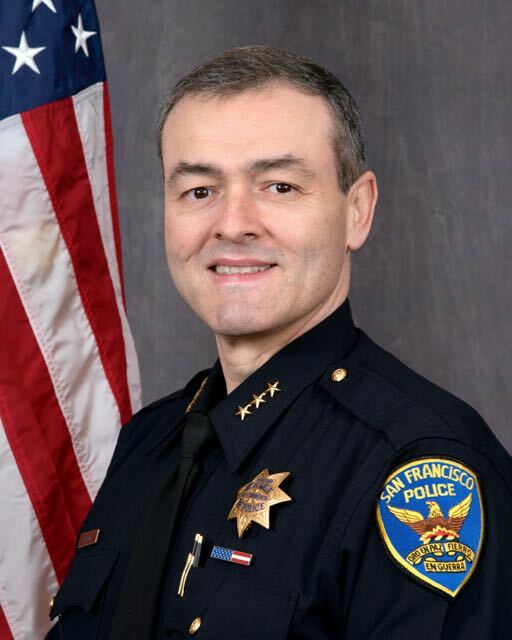 Below you will see the Specialized Divisions within the San Francisco Police Department’s Office of the Chief of Staff and a brief description of the services that each unit provides. The primary mission of the Media Relations Unit is to provide police-related information to the print, television, social, and radio media in as timely a manner as possible. Because the unit understands the role the media plays in both providing public safety information and in helping the public understand the Department’s policies and procedures, the unit strives to establish a positive, professional, and responsible relationship with the media based on honesty, understanding, and trust. The Risk Management Office (RMO) controls all Internal Affairs Units, the Legal Division, the EEO Unit in the SFPD, and the Early Intervention System (EIS) Unit. RMO investigates cases that involve officer misconduct and officer-involved shootings. The RMO uses a structured system that identifies and manages behaviors that result in performance-related problems by individual members. The mission of the (IAD) Administrative Investigations Unit is to continue to conduct thorough, timely, and impartial investigations of allegations of procedural violations by our members. It is comprised of both sworn and civilian legal staff. Additionally, this unit also administratively investigates all officer-involved shootings and in-custody deaths. The mission of the IAD-Criminal Investigations Unit is to conduct thorough, timely, and impartial investigations into allegations of criminal misconduct by SFPD employees. The mission of the Legal Division is to efficiently manage our day-to-day responsibilities pertaining to complying with the various legal mandates imposed upon the Department. The Court Liaison Unit, which receives and processes subpoenas and deals with other court-related processes for the Department. The Legal Unit, which provides legal support and guidance to other department units. This unit also assists in the defense of lawsuits and claims against the Department. The Brady Unit, which is responsible for review of personnel files and identification of police employees who may have personnel file issues subject to disclosure under Brady v. Maryland. The Equal Employment Opportunity Unit is tasked with ensuring that all employees are afforded equality in the workplace. Members are encouraged to come forward when violations may occur. This section conducts training on EEO workplace issues for Department members and investigates violations of department policy under General Order 11.07 ("Discrimination and Harassment"). The Early Intervention System (EIS) is a structured system that identifies and manages behaviors that result in performance-related issues by individual members. The intent of this system is to provide non-disciplinary intervention, whenever possible, to assist our members in their professional development in order to provide the highest level of service and satisfaction to the public.